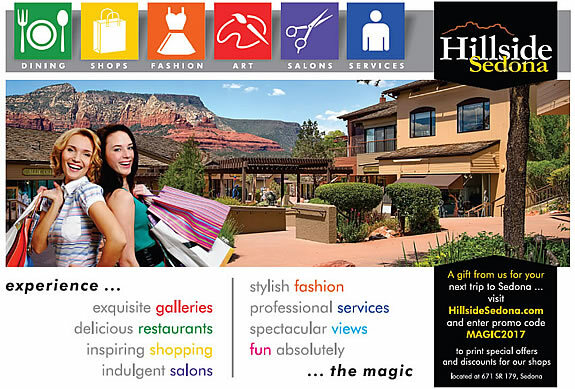 Although several projects to date have combined elements of these combined skills such as branding logo and print design, our first client with this all these elements is Hillside Sedona where we have created a 2017 marketing plan based on their business objectives and budget. The plan is creative and integrated as it includes all the elements noted above. As described in the introduction, this project includes everything from rebranding through video and print advertising as well as the full marketing strategy for the entire property of over twenty stores. The rebranding centers around icons for the distinct shopping segments the property includes and this theme is carried through from print to TV and the new website. For the time being we are maintaining the WordPress website but the new site will launch early in 2017. 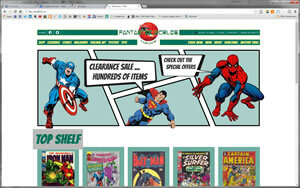 An exciting new webdesign project for a Phoenix based comic store with some really special items. The website naturally includes a full e-commerce package with local tax, shipping, account and order history in addition to the shopping cart and secure payment systems via PayPal. Related and recommended items are automatically selected by the system based on the themes and categories associated to the product making the up sell a very easy proposition. The mobile version was an important factor as mobile e-commerce is very much on the up and with a product range like this it's important to catch this area of the market. 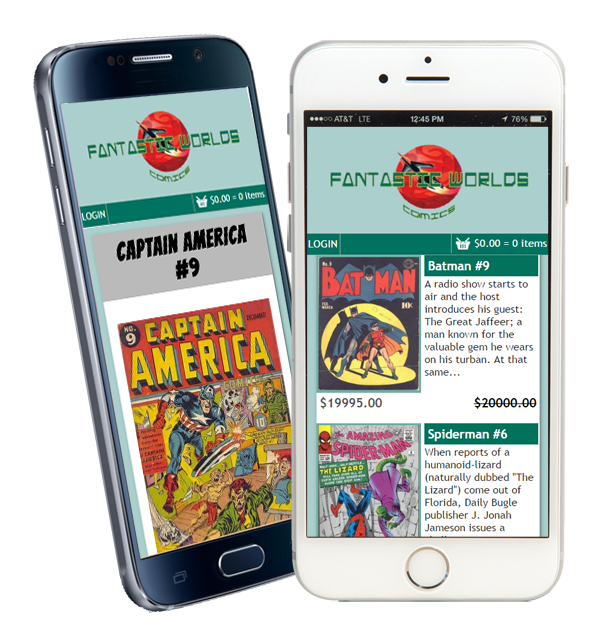 The full website is translated to a smart phone friendly environment to make online shopping easy on the move. A new website design for a new retreat center in Thailand is underway. Phase I and II are complete and the online store is ready to go. An integrated customized booking system is being developed to allow visitors to book both accommodations and services within the time tables available at the site. This is again a project involving branding, marketing strategy and implementation as well as social media building towards a crowd funding campaign later in the new year. Thailand is the first of many centers planned around the world. Webdesign project for a major construction company, Sedona based but with projects across the nation for big corporate clients such as Apple, Starbucks, Subway, Planet Hollywood and many more. 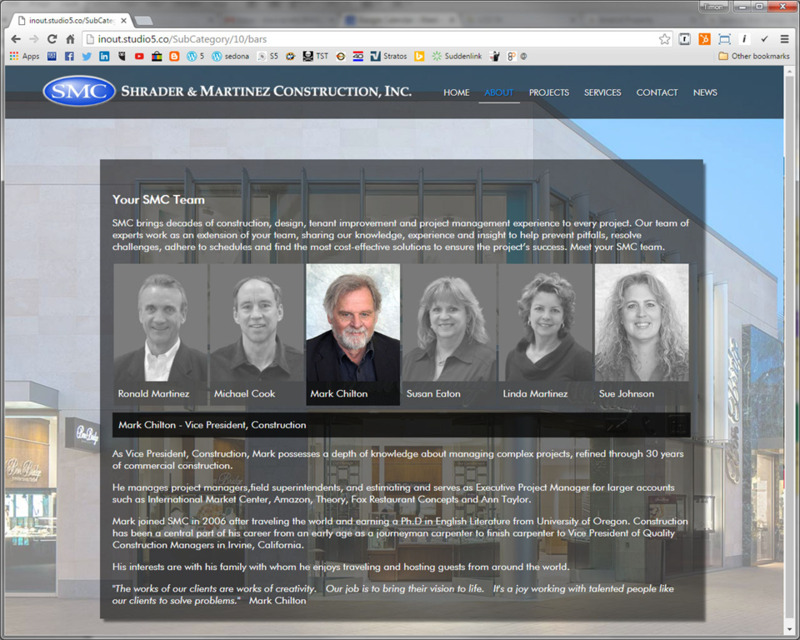 The website uses our custom CMS (content management system) allowing the portfolio of projects to be continually updated as their projects are completed.